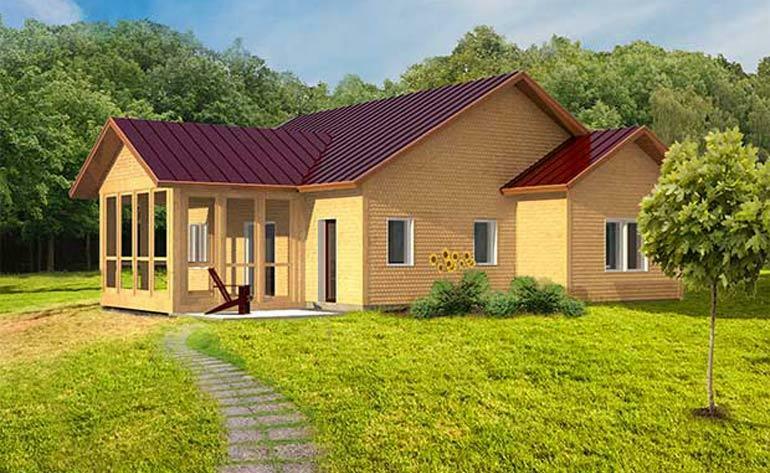 MODULAR HOMES: Modular and sustainable—myth or reality? For more than a hundred years, modular has been touted as the next big thing in home building. But neither companies as practical as Sears Roebuck, which offered a house in a box in 1908, nor architects as visionary as Frank Lloyd Wright, who introduced a line of prefabricated houses three year later, have been able to make a promising idea an everyday American reality. The gathering green revolution may change that. According to the U.S. Census Bureau, modular construction accounted for about five per cent of all new homes built in 2010. Those numbers appear poised to grow, with companies emphasizing sustainability starting up even amid the worst housing market since the Great Depression and others finding new markets for modular homes in cities, which have been less “friendly” towards modular construction than suburban and rural communities. Modular advocates believe that housing built in a factory, trucked to a building site and its modules lifted into place by a crane not only makes economic sense, it makes environmental sense, too. They note that modular housing—often referred to as prefabricated or factory- built housing—is inherently more sustainable than site-built housing. Almost nothing used in modular construction facility goes to waste. Unused strips of sheetrock are typically saved to reinforce the seams of walls. Lumber left over from creating wall studs and floor joists is re-cut for other purposes. The smallest pieces of wood, copper and vinyl are recycled. One company even gives its sawdust to a local farmer for animal bedding. Modular’s frugal use of resources, coupled with the economies of replication and the efficiency of constructing homes in a factory specially designed for that purpose, results in homes that cost 5 to 20 per cent less than comparable “stick-built” homes, according to Dave Boniello, vice president of marketing and development at Simplex Homes, which has been building modular homes in their Scranton, Pennsylvania, factory for 40 years. Many startup modular companies, as well as established companies like Simplex, count on these savings to offset the higher cost of energy-saving and water-conserving technologies, or of integrating energy-producing technologies like solar panels into their homes. It is money well spent. 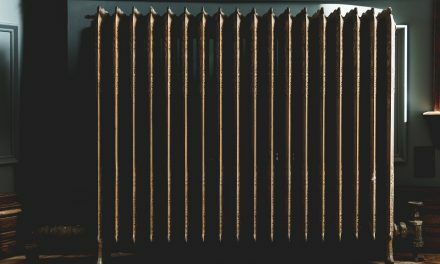 According to the U.S. Energy Efficiency Administration, in 2009 U.S. homes were responsible for 22 per cent of the nation’s energy use and 18 per cent of the nation’s greenhouse gas emissions. Modular home builders have several other advantages when it comes to building green, including having highly specialized trades people on staff, according to Tim Key, senior editor of Modular Today, an independent website covering the modular industry. Key also points out that modular home builders have a dedicated sales staff that is knowledgeable about the wide variety of available sustainability features like bamboo flooring, low-flow faucets and energy-efficient heating and cooling units that modular builders typically offer. 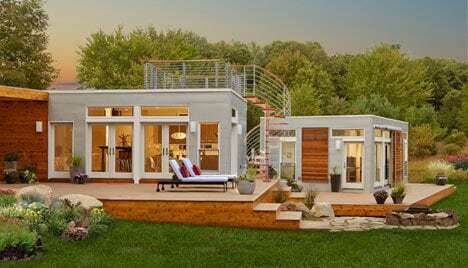 Founded in 2007, Blu Homes exemplifies the trend in modular housing to build green. Based in Waltham, Massachusetts, the company produces six prefabricated models, and in its short history, has already built or has orders for more than 60 homes. The company has aimed its homes at the wide spectrum of middle-class buyers: the homes range from $95,000 to more than $500,000, excluding the cost of a lot and foundation. The homes are built to LEED Silver standards set by the U.S. Green Building Council, a nonprofit group that has established a broad and stringent set of sustainability requirements in building. McCarthy estimates that a Blu Home’s energy and operating costs are half that of a comparably sized existing home. Like other green modular builders, Blu Homes emphasizes the “tightness” of its “precision-built” structures, which improves energy efficiency and indoor air quality. Blu Home architects and engineers also site homes on their lots to take advantage of passive heating, cooling, lighting and ventilation. And they build in features like sunshades, enhancing comfort in a manner that uses little or no energy. They also study climate data from where a home is to be located, especially in areas with heavy snow loads or high winds, to ensure its structural integrity, as well as resource efficiency. This data is analyzed by a sophisticated engineering program that “measures the performance of the home” so that the owners know before the first wall is framed what their monthly electric bill or their yearly oil bill is likely to run. Blu Homes has figured out a way to work around the constraints of the highway by using steel framing, which can unfold a structure 20 feet wide and 15 feet high. Still the emphasis at Blu Homes and most modular home builders are on achieving sustainability partly through a smaller footprint. San Francisco-based ZETA (Zero-Energy Technology and Architecture) Communities has taken the Blu Home emphasis on creating small spaces that feel much bigger to another level. The company is awaiting permits to build 23 studio apartments in downtown San Francisco. The units will be about 330 square feet in size. The four-story project will be near net zero and built to LEED Platinum standards—the highest standard set by the U.S. Green Building Council. ZETA’s birth would seem ill-timed. But, as the stock market crashed and the housing bubble burst, Sankaran saw opportunity in adversity. ZETA has already built the first 8 homes of a planned 22-home community in Stockton, California. The 1269-square foot, 3-bedroom, 2-bath homes sell for $160,000. With solar arrays, efficient lighting and high levels of insulation, each home will be net zero, generating as much electricity as they use and saving homeowners $2,000 annually in utility bills. ZETA’s holistic approach to the question of sustainability in building also considers location. The company focuses on building for urban infill sites, like the studio apartment complex in downtown San Francisco, close to public transportation and master plan communities. “You can have an incredibly efficient building, but if it’s located far away from services and jobs, you end up contributing to CO2 in a different way,” notes Sankaran. Despite the depressed housing market, both Blu Homes and ZETA Communities are expanding, seeking additional capital and looking to deliver homes beyond their initial marketplaces. ZETA, for instance, is exploring opening another factory in the Pacific Northwest, Colorado or Los Angeles. 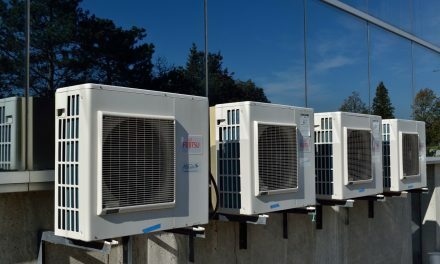 Long before Al Gore’s “An Inconvenient Truth” literally brought the global warming problem home, Simplex and many other companies in the modular industry embraced certain green building principles as a practical matter. The result, adds Zoeller, is a home with right-sized heating and cooling units, the right windows and the right levels of insulation for resource conservation. Today, modular companies like Simplex Homes have evolved to offer highly energy efficient homes with a range of sustainable features, including solar hot water and solar electric. In fact, this company developed the solar energy product line to the point where it made sense to create a business that installs solar on homes constructed by other builders. Like a car manufacturer, Simplex has also introduced engineering advances in its high-end products first, before making those advances standard on all models. For instance, to build its first home that met the requirements for an Energy Star 5+ rating, the Environment Protection Agency’s highest rating, Simplex experimented with caulking the joint between the wall frames of its homes and the floor and ceiling plates to create a tighter air seal. In blower door tests, used to determine how air tight a building is, the seals greatly reduced air leakage, according to Boniello, so Simplex began to employ the inexpensive energy-saving technique in all its homes. More recently, says Boniello, Simplex created “a unique wall system” using double-studded walls and mineral wool made out of glass and other recycled products for six new residential units in the Center City section of Philadelphia. The walls achieved insulation values nearly twice as high as the city’s building code required—at only a modest additional cost. The developers of the project, known as Bancroft Green and marketed as the only multi-family sustainable development in Center City, have highlighted the walls in their application for LEED Platinum designation. The six residential units–with two or three bedrooms, roof top gardens and Energy Star appliances–were priced from the low- to mid- $500,000s. Boniello estimates that modular building techniques—“90 per cent of the construction was completed in the factory”—reduced construction costs by at least 10 per cent. Building in a factory also greatly reduced construction time. The units were trucked to Philadelphia and set on foundations in December 2010. Less than three months later, the first buyers were moving in. Although less than two per cent of all new home construction in cities is modular according to the U.S. Census, Bancroft Green has opened a new market for Simplex. The Bancroft developer is discussing a new city project with the company, while another Philadelphia developer has contracted with Simplex to construct a four-unit project in the city. Modular and sustainable: myth or reality? While most housing and environment experts agree modular construction could provide environmental benefits, as well as economic ones, they caution that not all modular construction is particularly green. Green advocates suggest that those in the market for a green home look carefully at what comes “standard” with their modular home. “The problem is that modular homes don’t have to incorporate these greener designs,” wrote Maryruth Belsy Priebe, who blogs for YellowBlue Designs, a Canadian company that sells stock green home designs by North American architects. As the editor of a website dedicated to modular housing, Key admits his bias when it comes to the industry. 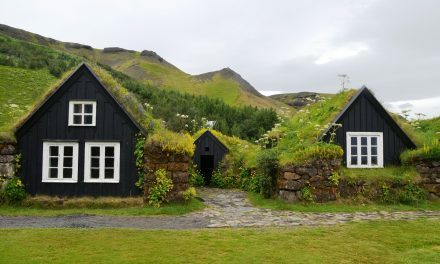 But he is also quick to add that the determining factor for a green home is the design, materials and workmanship that went into the construction–whether the home was built in a factory or onsite. With a controlled environment and experienced workers who specialize in green construction techniques, adds Zoeller, factory-built housing has the potential, often unrealized, to deliver consistently higher quality. Brian Kell is a freelance environmental writer. In his “day job,” he is director of communications for the American Thoracic Society, an international medical society of lung doctors that advocates for clean air and for recognizing the health consequences of global warming. Comments about this article can be sent to briankell55@gmail.com. Reprinted with permission from Living Green Magazine.